I would like to know a lot of people who love the puzzles and they want put puzzles here. Hi! I just found your link in the puzzle forum from Germany and as so many of you wrote in our forum I thought it would be nice to post something here as well. Nice way to learn the spanish language! 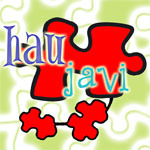 Jigsaw Puzzles all over the world!!! If you don´t understand something you can say us and we try explain it. I hope that you practise spanish and I will try to speak english too. Maybe we could made puzzle together someday. It doesen't seem terribly active, and I haven't registered there. I can guess from your avatar and nick that you like Egyptian motifs just like me! No tienen mucha actividad y no estoy registrada allí. Yo puedo ver por tu avatar que te gustan los temas egipcios como a mí. Gracias MJ por la traducción, mi inglés es muy simple. Es mi asignatura pendiente...aprender Inglés!!!. Caecilia, me gustaron mucho esos puzzles egipcios, los encontré por casualidad indagando por el foro, bueno para ser mas concreto en tu perfil en un enlace de una web. Aunque no solo me gustan los puzzles egipcios....me gusta todo lo relacionado con Egipto. Disculpa por el error, siempre confundo las ciudades y paises de Finlandia, Suecia, Noruega y Dinamarca . (Y eso que tengo mapas de todos los rincones del mundo). Pues me encantaría pedir alguno de esos puzzles, sería una oportunidad única de tenerlos, y como a MJ y algún otro puzzlero tambien les gusta este tema, lo mismo nos animamos a pedirlos. Mañana con algo de mas tiempo, miraré en las webs que has indicado. Thanks MJ for the translation, my English is very simple. It is my challenge ... to learn English!. Caecilia, I love these puzzles Egyptians, found by chance by asking the forum, good to be more specific in your profile on a Web link. While I not only like .... I like puzzles Egyptians everything related to Egypt. Sorry for the mistake, always confusing cities and countries of Finland, Sweden, Norway and Denmark. (And that I have maps from all corners of the world). Because I love to ask some of these puzzles, it would be a unique opportunity to take them, and to MJ and some other puzzlero also like this issue, as we encourage you to ask. Tomorrow with some more time, looking at the websites that you provided. MJ Dank für die Übersetzung, mein Englisch ist sehr einfach. Es ist meine Herausforderung ... um Englisch zu lernen!. Caecilia, ich liebe diese Rätsel Ägypter, durch Zufall gefunden, indem sie das Forum, gut zu sein spezifische in Ihrem Profil auf einem Web-Link. Obwohl ich nicht nur wie .... Ich mag Rätsel Ägypter alles, was mit Ägypten. Sorry für den Fehler, immer verwirrend Städte und Länder Finnland, Schweden, Norwegen und Dänemark. (Und das habe ich Karten aus allen Ecken der Welt). Weil ich gerne fragen, einige dieser Rätsel, es wäre eine einmalige Gelegenheit, um sie, und MJ und einige andere puzzlero auch dieses Problem, wie wir empfehlen Ihnen, um zu fragen. Morgen mit etwas mehr Zeit, sich auf den Web-Seiten, die Sie. La mejor lucha contra el racismo....Viajar y sentirte extraño en otra tierra. my Name is Julchen! I´m the Administratator from Puzzlefreunde in Germany! I´m happy to be here! Your Forum is verry verry nice and verry interested..
I´m sorry but my english is not so good..
in which Kategorie i can show you some of my Puzzle?? You can find all the puzzles at "Galería de Puzzles" instead uploading the puzzles by user (as you have in your forum), we clasified them by title. If you have the same puzzle, you'll have to post it there. If the puzzles doesn't exists, you have to create a new topic. Also you have a puzzle index "Índice de puzzles (Ordenados por número de piezas)" where you can find all the puzzles we have in our galery ordered by number of pieces. I hope it is right in such a way. If I have made mistake not be angry! Hello and Welcome Koalanina, Caecilia and dat-julchen (it's the third time I welcome you I should read all new post before answer ) I hope you are the first of many and I hope you enjoy our forum. Un puzzle o puzle puede referirse a: Un rompecabezas, un juego en el que hay que armar una figura. Un crucigrama o juego de palabras cruzadas. Un puzzle compacto es un autodefinido o crucigrama compacto. Un acertijo, especie de adivinanza. Thank you all for the nice welcome greetings! By the way, editing the profile you can write a number in the last line, does this mean how often you are doing puzzles? If so is there a scale or how to you choose that number? The rest is translated in english but this line is not. "Participaciones en encuentros" is the number of meetings each one have participated. That makes sense. I just didn't found "quedadas" in my dictionary, just found "quedar" which didn't seem to have anything to do with "meeting", otherwise I might have got that. I already thought that "Encuentros" must be meetings when I was trying to read over the topics here.